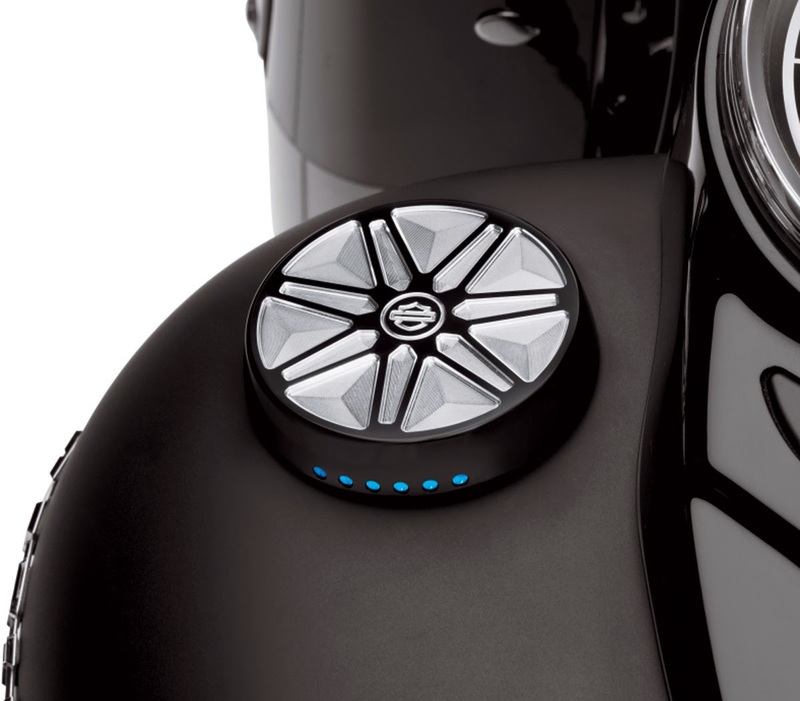 MILWAUKEE - Top a Harley-Davidson® fuel tank with these two new items from the Chisel Collection from Harley-Davidson® Genuine Motor Parts and Accessories. Each features a rich black finish, highlighted with complex machining in a radial spoke design that exposes bright, raw aluminum. Both are styled to complement Chisel Extreme Billet Air Cleaners, Floating Brake Rotors, and Custom Wheels. The Chisel Collection Fuel Cap (P/N 61100038, $69.95) features a ratcheting design so the cap can be rotated until the central Bar & Shield logo faces the correct direction. 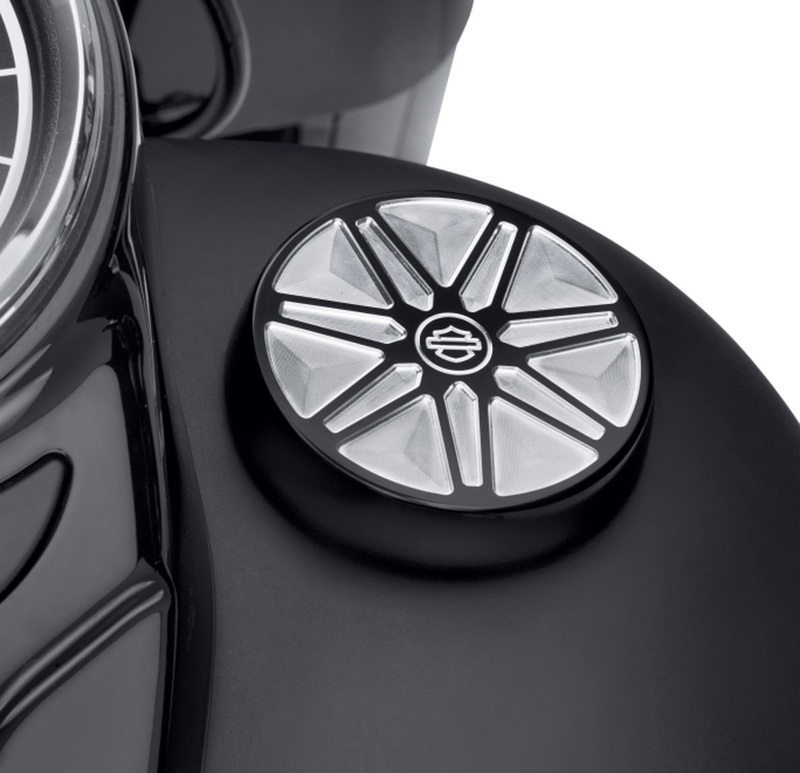 This fuel cap fits many 1992-later Sportster® and Dyna® models, 2000-later Softail® models and 1994-later Road King® models. See an authorized Harley-Davidson dealer for complete fitment details.